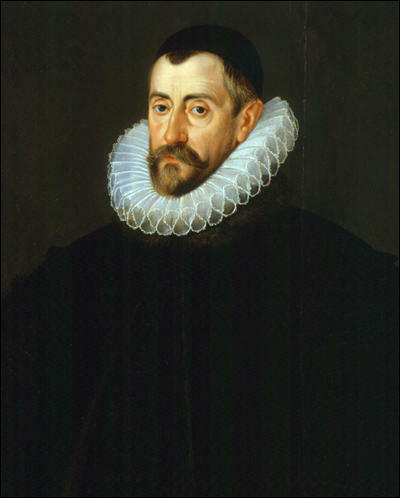 During the reign of Queen Elizabeth I, her Principal Secretary, Sir Francis Walsingham, was given government money to setup Britain's first counter-intelligence network. Walsingham was given responsible for the security of the monarch. To protect Elizabeth he created a network of spies in Europe. He received regular reports from twelve locations in France, nine in Germany, four in Italy, four in Spain, and three others in Europe. He also had informants in Constantinople, Algiers and Tripoli. Walsingham was supplied by regular information by his spies in Europe. It was claimed that his spying system was so efficient that secret messages sent from Rome was known in London before it reached Spain. While he held office he discovered several plots against Queen Elizabeth. This included the plots led by Roberto di Ridolfi, Thomas Howard, Francis Throckmorton and Anthony Babington. Further evidence of Spanish ill will was provided in March 1571, with the uncovering of a plot which involved the King of Spain and the Pope, along with the Queen of Scots and the Duke of Norfolk. The arch-conspirator who was trying to knit these disparate elements together was Ridolfi, and his idea was that Norfolk should call on the English catholics to rise in rebellion, seize Elizabeth and free Mary from captivity, at the same time as a Spanish expeditionary force landed on the cast coast. 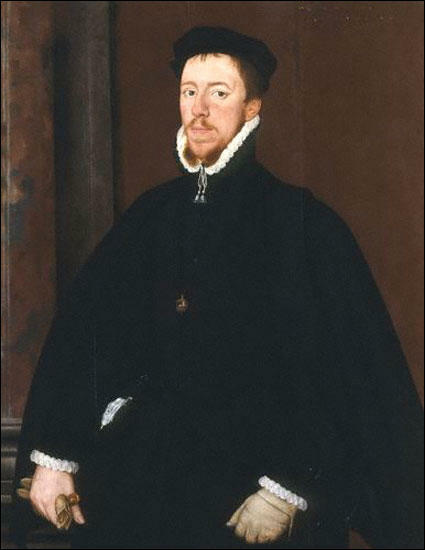 The Scottish queen's fantasies aside, the duke's final downfall was triggered by the arrest of Charles Bailly, a young Fleming who had entered Mary's service in 1564 and later worked for John Leslie, Bishop of Ross, her agent in London. Burghley's agents in Dover had detained him in early April 1571 after discovering he was carrying books and letters from English exiles and had no valid passport.... The prisoner was brought to London and held in the Beauchamp Tower in the Tower of London... A brief session on the rack - a fiendish machine that stretched the body and agonisingly dislocated the joints' - plus the threat of further such treatment to come compelled the prisoner to make some startling admissions. He admitted that Ridolfi had left England on 25 March with personal appeals from Mary to the Duke of Alva in the Low Countries, his master - King Philip II - and the Pope to organise and fund an invasion of England. The aim was to overthrow Elizabeth, crown the Scottish queen and re-establish Catholicism as the state religion. Earlier that month, Ridolfi had revisited Norfolk at Howard House in Charterhouse Square, leaving a document with him that outlined the invasion plans and listed some forty luminaries in England who secretly supported Mary, each name identified by a number for use in ciphered correspondence. The leniency of his treatment at the hands of Elizabeth and her ministers has caused some scholars to suggest that during his house arrest Ridolfi was successfully "turned" by Walsingham into a double agent who subsequently worked for, and not against, the Elizabethan government. Since she came to the throne, Elizabeth had ordered no execution by beheading. After fourteen years of disuse, the scaffold on Tower Hill was falling to pieces, and it was necessary to put up another. The Duke's letters to his children, his letters to the Queen, his perfect dignity and courage at his death, made his end moving in the extreme, and he could at least be said that no sovereign had ever put a subject to death after more leniency or with greater unwillingness. Walsingham was determined to get rid of Mary, and Gilbert Gifford would be the means. Gifford was installed in a country house close by the one occupied by Mary. It was not long before Mary's people heard of the good young Catholic gentleman who, it was said, secretly professed undying loyalty to the Catholic queen. Mary summoned him. She was convinced of his sincerity and suggested he should become her messenger. Gifford, on one knee and kissing her hand, swore that he was prepared to die for her and his religion. Thus Gifford became, if not the first double-agent, certainly one of the more treacherous. Gifford devised a method of smuggling letters to the queen in the beer barrels that were regularly delivered to her household. They were brought out in the same way so that Mary, largely out of touch with the outside world before Gifford's arrival, now had a perfect means of two-way communication with her supporters. Mary's correspondence was always enciphered. She never revealed the cipher to Gifford - but, once he had the letter from the beer barrel, he opened it, copied the enciphered contents, sealed it so cleverly that no one could have known it had been opened, and delivered the letters in the usual way. The copies, however, were sent to London where they were deciphered by Thomas Phelippes. Mary was using a simple substitution cipher plus inserted code signs. Babington enciphered his letter so that even if it was intercepted by Mary's jailer, it would be indecipherable and the plot would not be uncovered. He used a cipher which was not a simple monoalphabetic substitution, but rather a nomenclator. 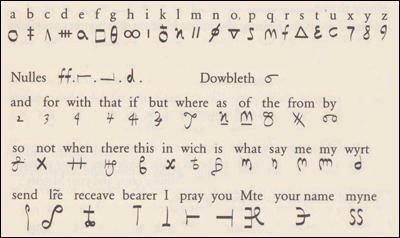 It consisted of 23 symbols that were to be substituted for the letters of the alphabet (excluding j, v and w), along with 35 symbols representing words or phrases. We... will undertake the delivery of your royal persons from the hands of your enemies... For the dispatch of the usurper (Elizabeth)... six noble gentlemen, who, for the zeal they have to the Catholic cause... will undertake that tragical execution. Gifford devised a method of smuggling letters to the queen in the beer barrels that were regularly delivered to her household. They were brought out in the same way so that Mary, largely out of touch with the outside world before Gifford's arrival, now had a perfect means of two-way communication with her supporters. Mary's correspondence was always enciphered. She never revealed the cipher to Gifford-but, once he had the letter from the beer barrel, he opened it, copied the enciphered contents, sealed it so cleverly that no one could have known it had been opened, and delivered the letters in the usual way. The copies, however, were sent to London where they were deciphered by Thomas Phelippes. Mary was using a simple substitution cipher plus inserted code signs. While Mary was in England, plot after plot was made against Elizabeth by Mary's friends, and by men who looked to her as their rightful queen. Whether Mary knew of these plots is uncertain... Letters were found... but there were many who said then, and many who still believe, that these letters were forgeries - that is to say, that they were written by Mary's enemies for the purpose of making people believe she was guilty. Question 1: Read the introduction and study source 2 and 3. Who uncovered the plot against Queen Elizabeth in 1571? Question 2: Study source 5. Why do some historians have doubts about the role played by Roberto Ridolfi in the plot? Question 3: Study sources 2, 5 and 6. Give as many reasons as you can why Queen Elizabeth was reluctant to order the execution of the Duke of Norfolk. Question 4: Study sources 8, 9, 10 and 12. Describe the methods that Mary, Queen of Scots and Anthony Babington used to communicate with each other. Question 5: Gilbert Gifford was a "double-agent". Explain what this term means. Question 6: Explain the views of the historian who produced source 14. 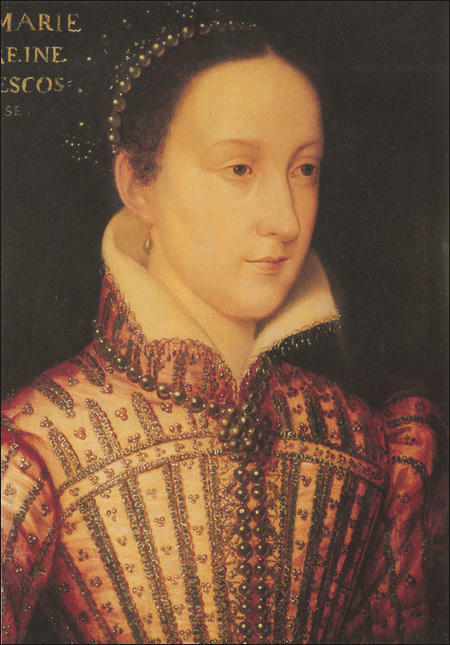 Use the evidence in this source to give your own opinion on the guilt or innocence of Mary, Queen of Scots.